Why do women become extremists? To what extent might they have self-agency? 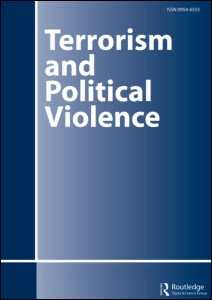 This paper examines the motivations and processes of female radicalization into the so-called Islamic State (IS) by drawing on a case study of Indonesian IS sympathizers, including the three migrant workers-turned-female suicide bombers whose radicalization was facilitated by social media. It argues that far from being coerced, most women join IS of their own free will. Prompted by a mix of personal crisis and socioeconomic and political grievances, the women embark on a religious seeking, exploring the various Islamic options available to them. Ideational congruence might spark the initial interest in IS, but it is generally emotional factors such as a feeling of acceptance and empowerment that make them stay. Contrary to common assumptions, women’s subordination in jihadist organizations is not absolute; it can be negotiated after joining. Most women try to conform to jihadist strict gender rules, but some, often with the support of male allies, try to bend the norms, including on female combat roles. The findings suggest that counter-terrorism agencies should abandon the binary view that women are either just brainwashing victims or terrorist provocateurs, and try to understand the gendered nuances of radicalization in order to formulate suitable preventive measures. Previous story Bangladeshi Militants: What Do We Know?